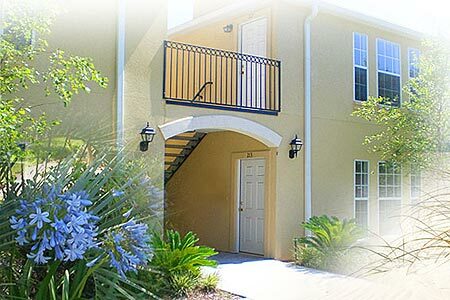 Jardin de Mer condominiums in Jacksonville Beach, Florida. Jardin de Mer is a 176-unit condominium project located east of the Intracoastal waterway and west of the Atlantic Ocean in Jacksonville Beach, Florida. Nestled among beautiful oak trees and palms, Jardin de Mer is just 15 blocks from the ocean and is within walking distance of the beach and the Intracoastal Waterway, shopping, dining and entertainment. Community developer is American Shelter Company. Choose from two- to three-bedroom floor plans ranging in size from 1,200 to 1,500 heated square feet. Features open floor plans with living/dining room combo, gourmet kitchen, custom cabinets, vaulted ceilings, wood-burning fireplace, walk-in closets, breakfast bar, balcony, utility room, security system, and single car garage. See floor plans.